The 2010 Chevy Express Cargo full-size van's standard wheelbase (135-inch) model comes in a base 1500 version as well as heavy-duty 2500 and 3500 variants. The extended-wheelbase version (155-inch) is available on the 2500 and 3500 series vans only. Standard equipment on the Express Cargo includes 16-inch steel wheels, swing-out right-side doors, air-conditioning, front bucket seats, vinyl upholstery and a trip computer. Options include alloy wheels, power windows and locks, towing features, heated power mirrors, swing-out driver-side passenger doors, a sliding right-side door, a tilt steering wheel, cruise control, cloth upholstery, a six-way power driver seat, driver-only front seat, a variety of rear door and window configurations, keyless entry, remote engine start, a simple two-speaker AM/FM stereo and an upgraded stereo with a CD player. 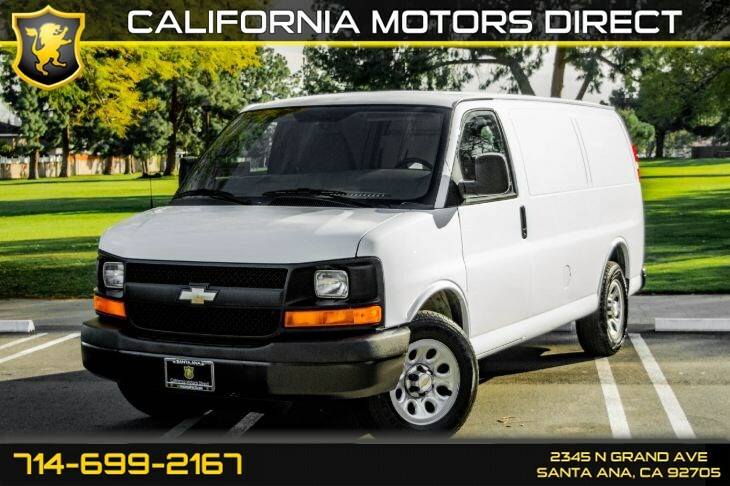 All 2010 Chevrolet Express Cargo vans have antilock brakes as standard equipment. Side airbags and side curtain airbags are optional. In frontal-impact crash tests conducted by the National Highway Traffic Safety Administration, the Chevy Express scored a perfect five stars for driver and front-passenger protection. Overall this vehicle is ideal for all drivers so come on by and see it in person you won't be disappointed !! !